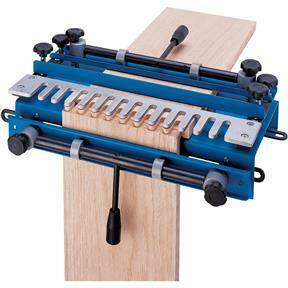 This Dovetail Jig with unique cam-action clamping system quickly locks two boards in position to cut both tails and pins with one pass of the router. It easily handles stock from 1/2" to 1-1/4" thick in widths up to 12". Features large, easily-adjustable knobs instead of the wing nuts found on other jigs. 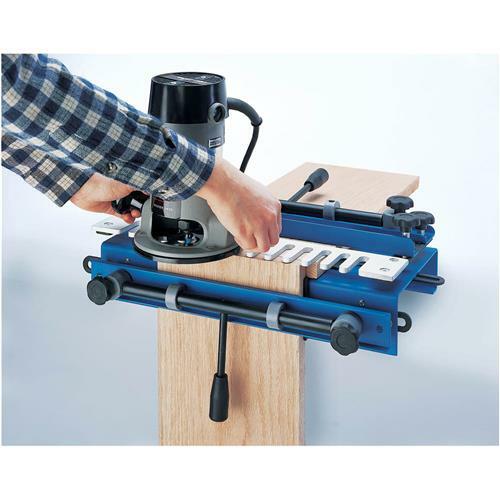 Simple to set up, this sturdy, well-made jig makes 1/2" half-blind dovetail joints, the hallmark of quality drawer construction. Heavy formed steel manufacturing ensures accuracy and durability. 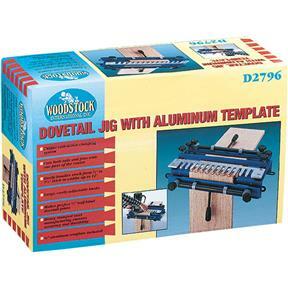 The Dovetail Jig comes with a 1/2" aluminum template. 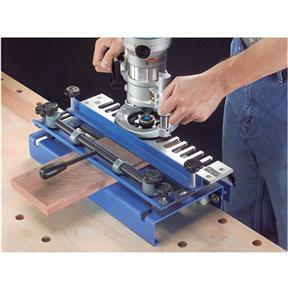 Router requires a 7/16" guide bushing (available in the D3117) and 1/2" 14° Dovetail router bit (C1069 or similar) with 1/4" shank sold separately. This is my first Dovetail Jig and so far has been easy enough to use. The manual is easy to read and has plenty of pictures for people like me that are more of a hands on type of learner.